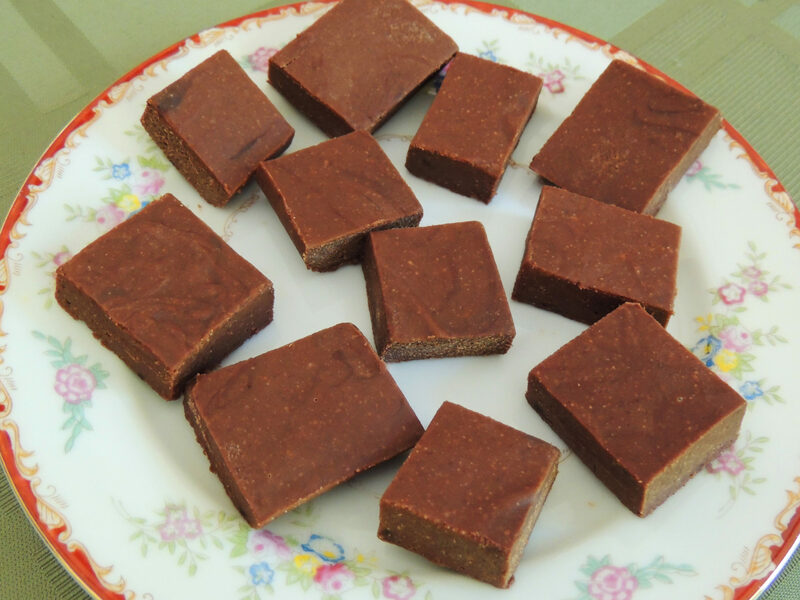 This is a lovely sweet treat that is paleo friendly. It’s so good you might want to double the recipe! Add all ingredients to a small saucepan over low heat. Once the coconut oil and chocolate starts to melt, whisk to combine until smooth and all ingredients are incorporated. Line a small baking pan with a large enough piece of parchment paper that it overlaps the edge of the pan. Pour the fudge into the pan. No need to spread it out, just let it spread on its own. Freeze until hardened, about an hour. Lift the parchment out of the pan and cut fudge into squares. Eat right away. Keep any remaining fudge chilled.